Last week when I shared my repurposed purse clocks I admitted that I have a thing for purses, and it’s so true. 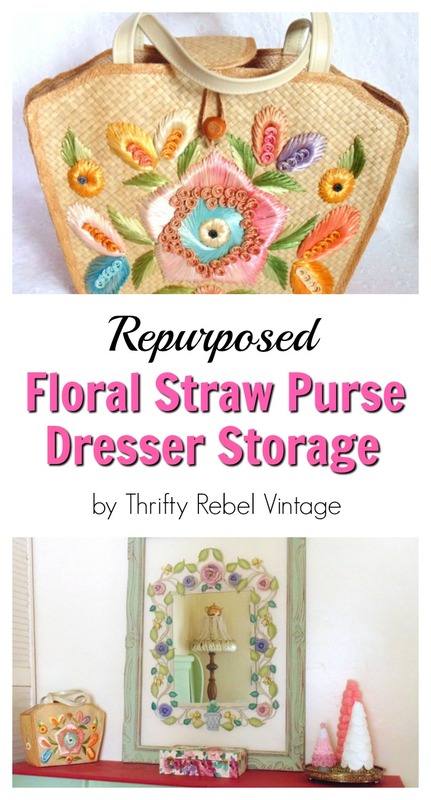 I found a $2 straw purse last summer and I had no idea what I would do with it, but I thought it was too pretty to leave at the thrift store. So I brought it home and put it away for a someday project. When I shared one of my favourite finds ever, the mirror above. 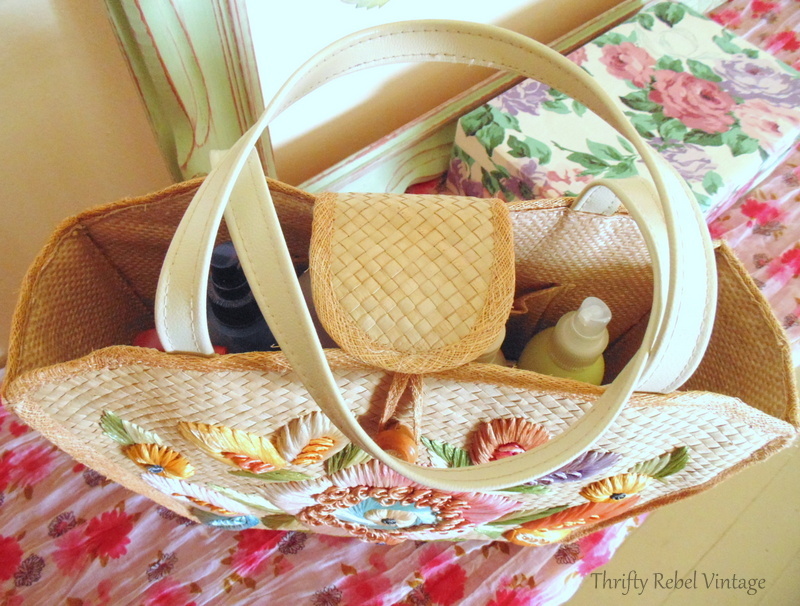 last week I got a few emails about the straw purse that’s on the dresser so I decided to share what it’s actually doing. Because it is serving a purpose rather than just looking pretty. When I brought the mirror home I remembered the purse and I got an idea. 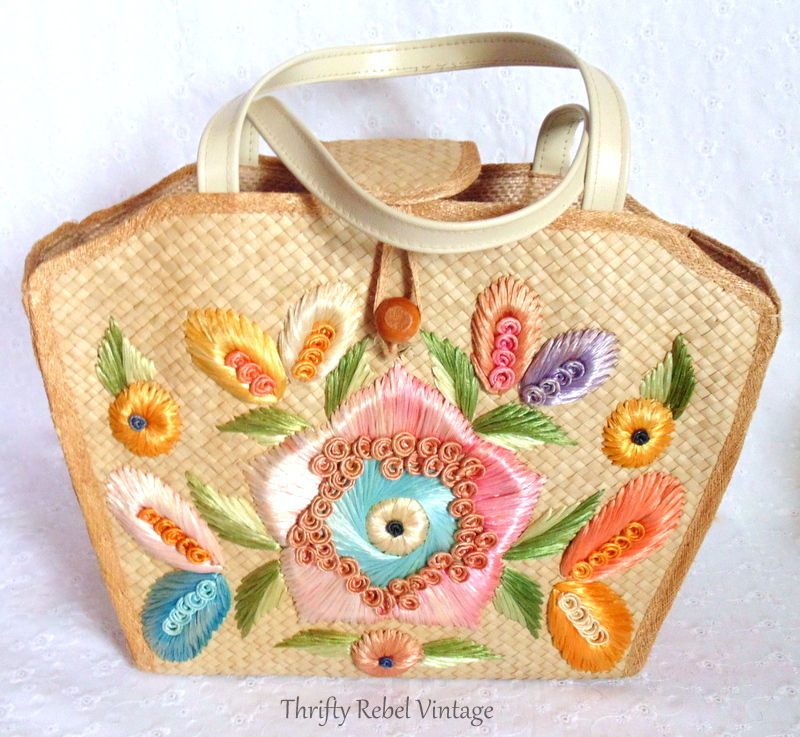 This wonderfully decorated straw purse is in great shape, and it has a label inside that reads Made in Phillippines. The back is plain but the weaving is in such great shape making it quite beautiful all on its own. 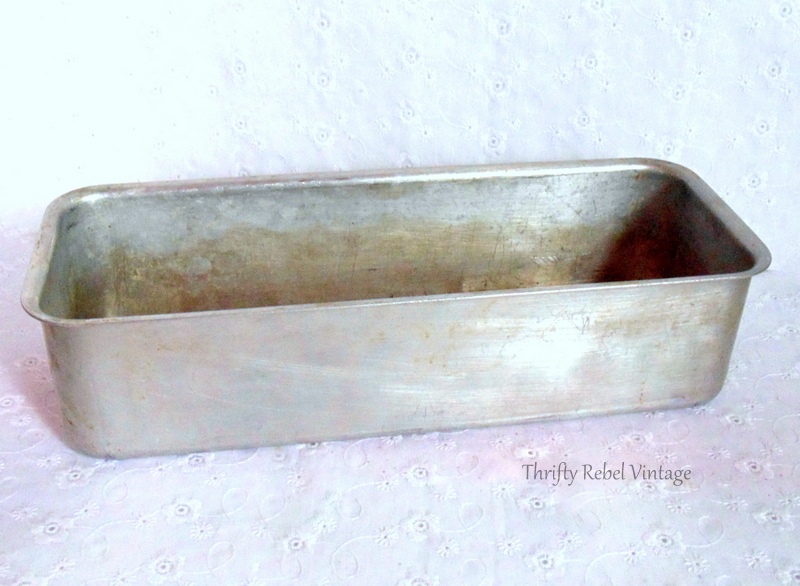 I looked through my vintage bakeware stash and found this longer than usual loaf pan. It fit inside the purse perfectly. 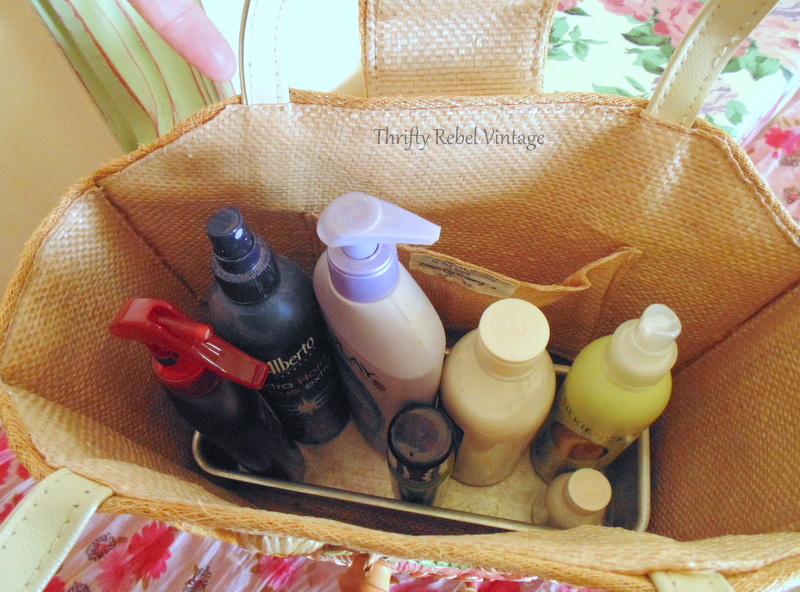 … for all the products that I like to keep close at hand on my bedroom dresser, mostly hair and skin products. Because it’s just a centre flap I can close it and still have great access. 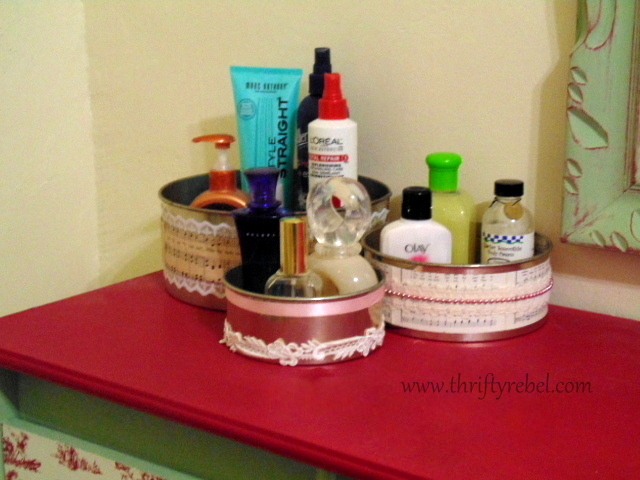 I repurposed these round baking pans as dresser organizers back in October of 2014, and even though they were nice and neat I still wasn’t thrilled that I had to see them all the time. I’m so much happier with this. 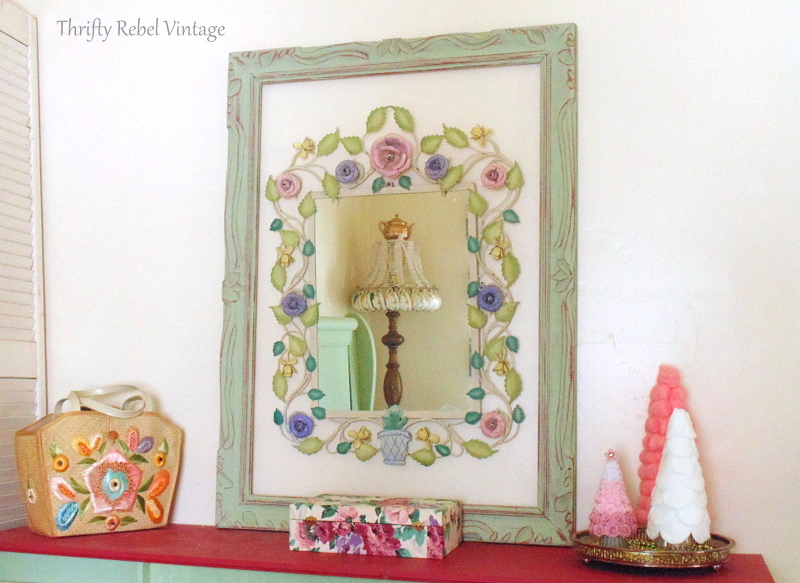 It’s so pretty, and I think it goes nicely with my recent fave find mirror. I put the small things like perfume bottles etc in the top drawer of the dresser because they don’t really need to be out all the time. 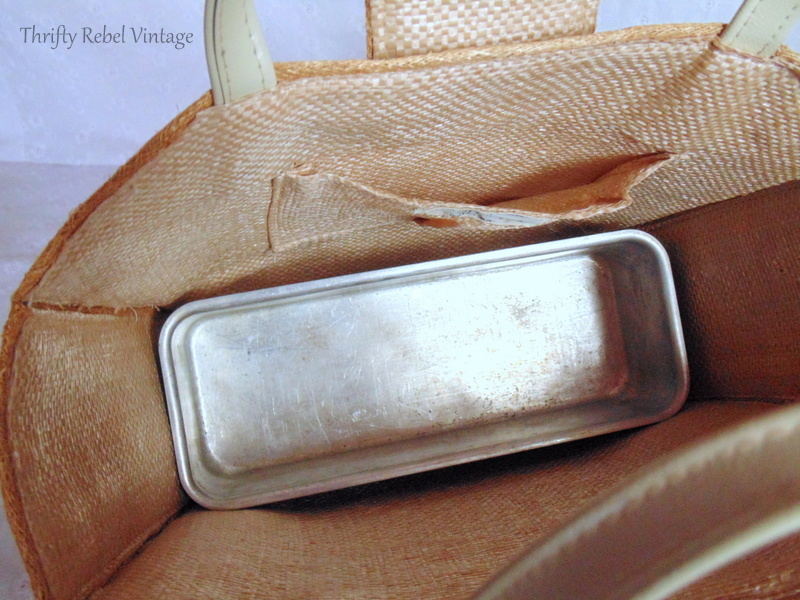 You could repurpose any kind of purse for this project as long as it has a bottom that can be made solid by adding a baking pan. It’s a great way to hide those things that you need in plain sight. P.S. If you enjoyed this post you might also enjoy these past master bedroom projects. super cute, and great idea. Love it!!! Could also use in le toilett for make up, etc!!! 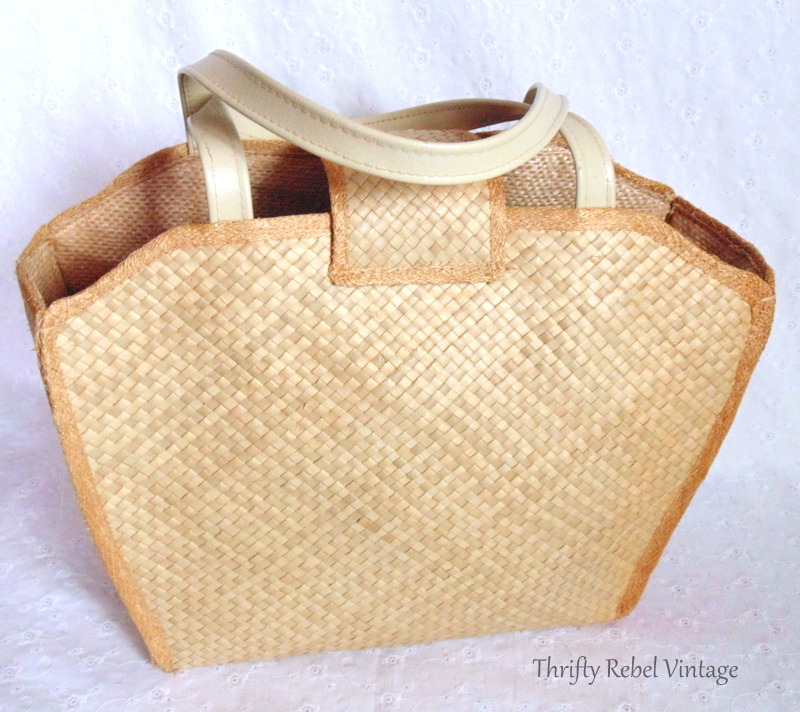 Cant wait to trifth a straw bag! That mirror is so pretty and looks perfect there and I love the straw bag and how you are using it.